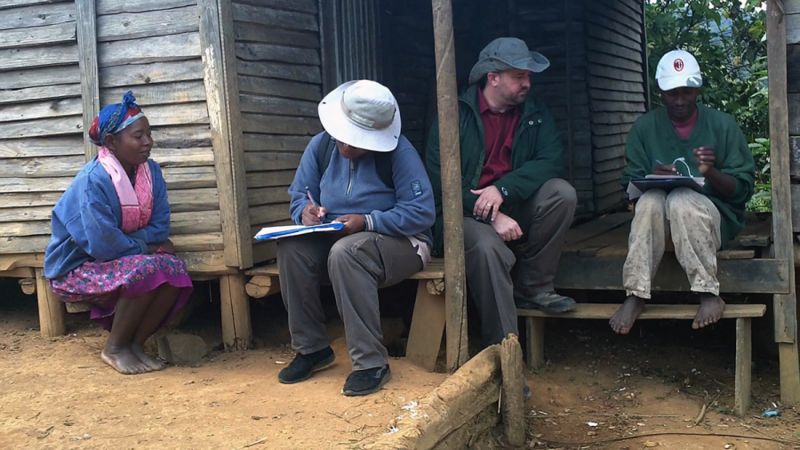 Professor Douglas Hume with his research assistants in Mahatsara, Madagascar, in summer 2012; they were conducting an ethnographic interview with an informant (not pictured). The act of caring for yourself, or self-care, varies from culture to culture. People all across the world demonstrate care for themselves based on their needs or the needs of their larger community. According to Dr. Douglas Hume, department chair of sociology, anthropology and philosophy, the Malagasy— or people native to Madagascar—care for others in the community and, in turn, find that they are able to care for themselves. Initially, Hume conducted research for his dissertation at the University of Connecticut, and then visited Madagascar three times after; his trips spanned between seven weeks all the way to six months. While there, Hume conducted research for an alternative approach to farming: terrace farming. 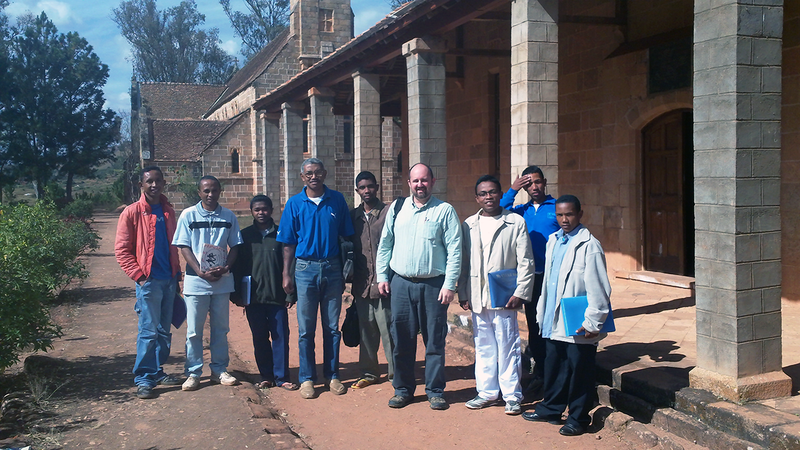 Dr. Douglas Hume with seminary students in Antananarivo, Madagascar, in the summer of 2012 after he spoke with the students about religion in the United States. Elements of self care are completely different in Madagascar than in the United States, he said. In Madagascar, if you need money or food, natives seek out a friend or family member, according to Hume. “We have welfare, insurance, banks and all these other kinds of stuff that handle that. We don’t rely on family as much,” Hume said. “Maybe some of our close family—moms, dads, brothers, sisters—but going to your uncle to ask for money, that’s really awkward and weird. We wouldn’t do that, but there it’s normal,” said Hume. While studying French in Paris, Hume recalled a time where the Malagasy manager of the dorm he was living in visited a family member and was turned away. In Madagascar, Hume noted that if you were to show up at someone’s house hungry, they would give you food and let you in. 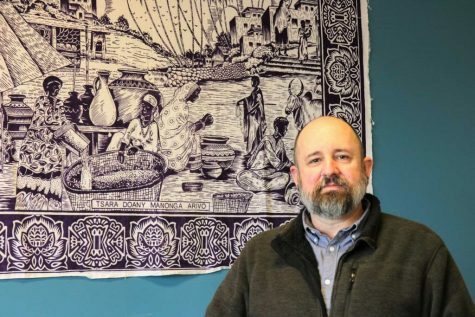 “I think, the self-care thing there is conceptualized differently because they have a different sense of connection with the rest of the community that it’s not all on you,” Hume said. The culture is more socio-centric than ego-centric, he explained. Hume in his office, which is decorated with several tapestries from the places of his research. The culture is based on friendships and relationships, and mostly everyone knows each other, Hume added. “The community that I work in, the main village, has 70 adults in it. Everybody knows each other. A lot of them are related to each other, so you know people,” Hume said. When walking around on NKU’s campus, Hume said you might not see anyone you know. But in Madagascar, it’s more community-oriented; with that comes a different mentality. “I think, part of that idea of self-care is different there, that it’s more community-based,” Hume said. 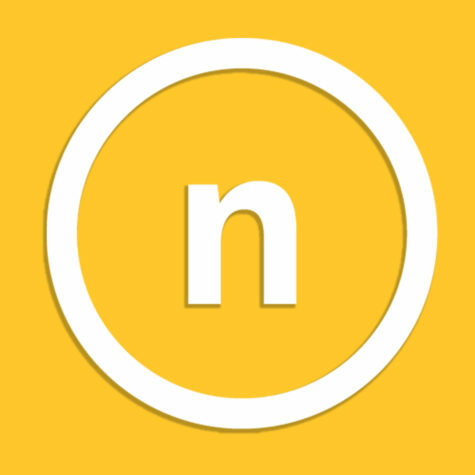 Check out other stories in our self-care package: on NVP helping survivors bring self-care back into their lives, why liking yourself in a consumer culture is rebellious and the how different students approach concepts of self-love.